Aureo Anello is a non-profit organization preserving the 'English' Cemetery in Florence, Italy. Julia Bolton Holloway. 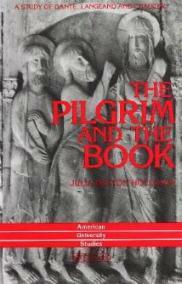 The Pilgrim and the Book: A Study of Dante, Langland and Chaucer. 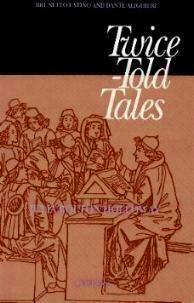 Third edition, 1993. ISBN 0-8204-2090-5/ US-ISBN 0-8204-2090-5. Suggested donation, €25,00. 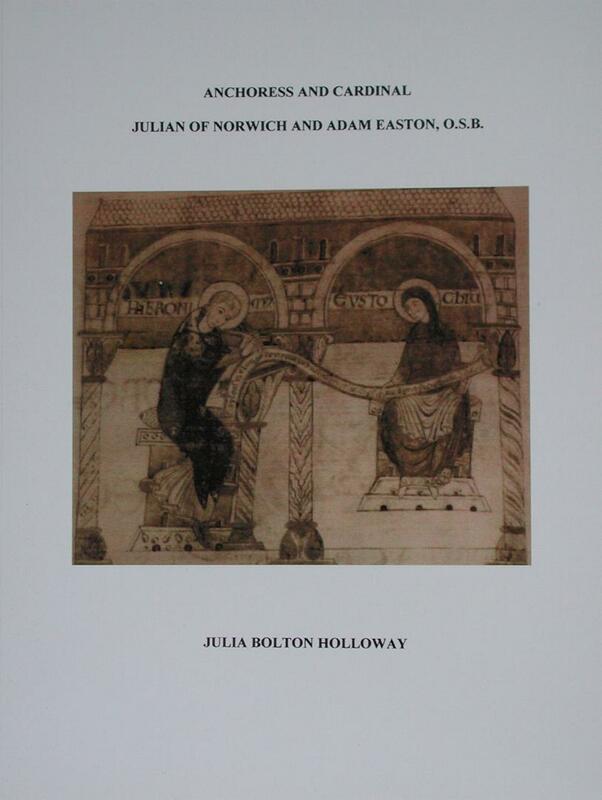 Anchoress and Cardinal: Julian of Norwich and Adam Easton OSB. Analecta Cartusiana 35:20 Spiritualität Heute und Gestern. Salzburg: Institut für Anglistik und Amerikanistik Universität Salzburg, 2008. ISBM 978-3-902649-01-0. ix + 399 pp. Index. Plates. Il pellegrino e il libro: Uno studio su Dante Alighieri. De strata francigena 20/1 (2012). Firenze: Centro Studi Romei. 191 pp. Julian among the Books: Julian of Norwich's Theological Library. Newcastle upon Tyne: Cambridge Scholars Publishing, 2016. xxi + 328 pp. VII Plates, 59 Figures. ISBN (10): 1-4438-8894-X, ISBN (13) 978-1-4438-8894-3. Mary's Dowry; An Anthology of Pilgrim and Contemplative Writings/ La Dote di Maria: Antologie di Testi di Pellegrine e Contemplativi. Traduzione di Gabriella Del Lungo Camiciotto. Testo a fronte, inglese/italiano. Analecta Cartusiana 35:21 Spiritualität Heute und Gestern. Salzburg: Institut für Anglistik und Amerikanistik Universität Salzburg, 2017. ISBN 978-3-903185-07-4. ix + 484 pp. Elizabeth Barrett Browning. Casa Guidi Windows/Le Finestre di Casa Guidi. Traduzione di Rosalynd Pio. Testa a fronte, inglese/italiano. Firenze: Aureo Anello Books, 2017. Christine de Pizan/ Cristina da Pizzano. Le Chemin de Lonc Etudes/ Il Cammin di Lungo Studio. Traduzione di Ester Zago. Testo a fronte, francese/italiano. De Strata Francigena. A cura di Renato Stopani. Firenze: Centro Studi Romei, 2017. v + 128 pp. Two hundred and fifty numbered, signed editions of Elizabeth Barrett Browning's Sonnets from the Portuguese, Sonnet 'On Hiram Powers' Greek Slave', and the ballad, Runaway Slave at Pilgrim's Point, are edited, translated, typeset in William Morris Troy and Golden fonts, handbound in hand-marbled papers on demand. 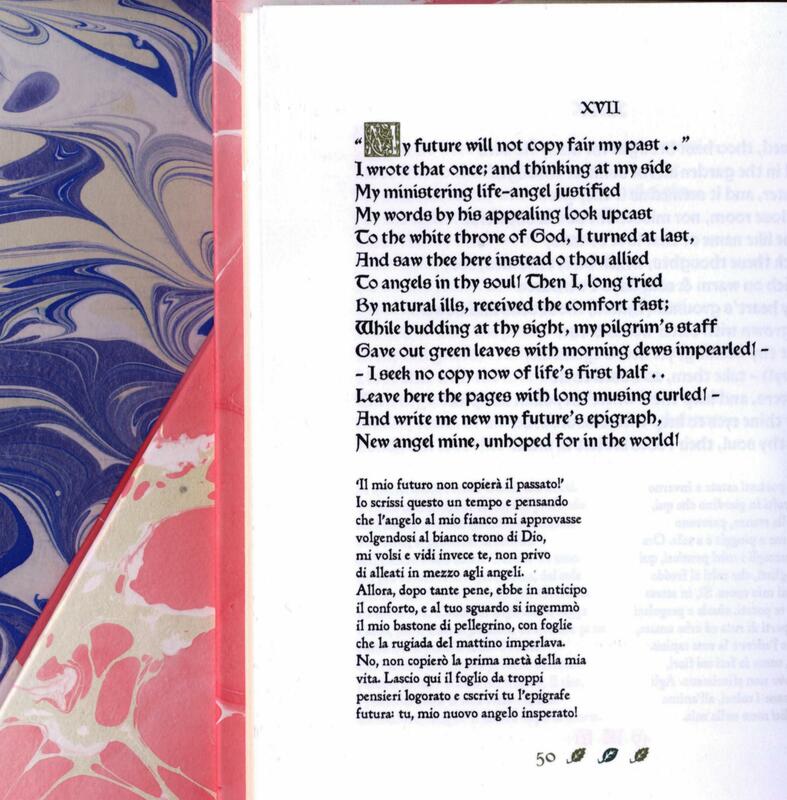 Elizabeth finally, shyly, gave the sonnet cycle to Robert in Bagni di Lucca, Italy, after the birth of their child, 'Pen', though she had written them during their Wimpole Street, London, courtship. Robert immediately had them published. These volumes are produced in the English Cemetery in Florence, Italy, where both Elizabeth Barrett Browning and Hiram Powers are buried. Their sales help fund the restoration of the Swiss-owned, so-called 'English' Cemetery. AUDIO FILES OF ELIZABETH BARRETT BROWNING, SONNETS AND BALLAD, 1. 'HIRAM POWERS' GREEK SLAVE, SONNETS FROM THE PORTUGUESE, 2, 3, 4, THE RUNAWAY SLAVE AT PILGRIM'S POINT, 5. AUDIO FILE IN PORTUGUESE, SONETOS PORTUGUESES II This was recorded by Roderigo Araôs Caldas Farias who came with his wife from Brazil with their printout of this website to visit Elizabeth's tomb. We collect translations of the Sonnets from the Portuguese, now having these in Italian, German, Spanish, Czech, as well as Portuguese. 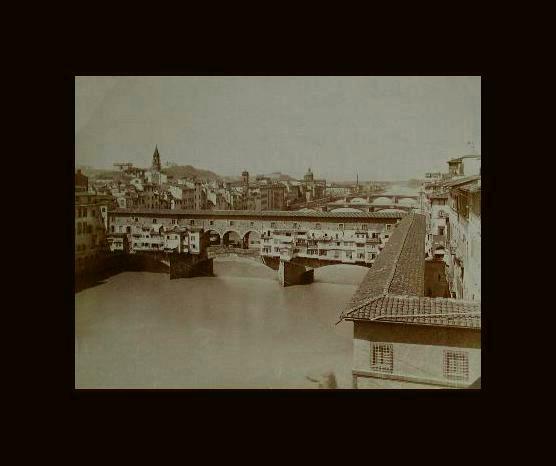 AUDIO FILES OF ELIZABETH BARRETT BROWNING ON FLORENCE, 1. PREFACE, 2. CASA GUIDI WINDOWS, 3. AURORA LEIGH & POLITICAL POEMS to accompany Elizabeth Barrett Browning's Florence, Map of Florence. Re-call HTML page in your browser, after reducing MP3 file, this continuing to play as background to the seen text. See below and /portfolio for hard-copy books and CDs available from this website, which publishes books to support its library, the Biblioteca e Bottega Fioretta Mazzei.